With rebuttal essays from Maurice Broaddus, Monica Valentinelli, Lesley Conner, and more, For Exposure tells Jason’s story with insight from key players along his road to success. It is a comprehensive and frank look at what Apex and the genre publishing business is about. Take a shot with the publisher, dance the night away, and become a legend. And do it all For Exposure. Q. For Exposure seems to be equal parts Apex tell-all, an honest look at the publishing business in general, and a hopeful outlook on the next 10 years of Apex Publications. When you first set out to write the book, did you always intend to mix these themes or did you initially plan to focus more on one than the others? A. One of my worst traits is that I am an optimistic. When something isn’t working out, my mindset isn’t “Cut my losses and run” but “If I simply work harder things will turn around.” Of course, you can’t just force of will into success, and some of these disastrous and poor decisions derived from my stubbornness I tried to share in For Exposure. If you don’t laugh, you’ll cry, ya know. Q. Through Apex Magazine and Apex Book Company, you’ve gotten to work with some of the biggest names in speculative fiction: Lavie Tidhar, Brian Keene, Damien Angelica Walters just to name a few. Is there a particular author you were especially excited to work with? A. Even after ten years in the publishing business, I still have many fan boy moments. You should have seen me at World Con in 2012 where I think I frightened Jacqueline Carey! 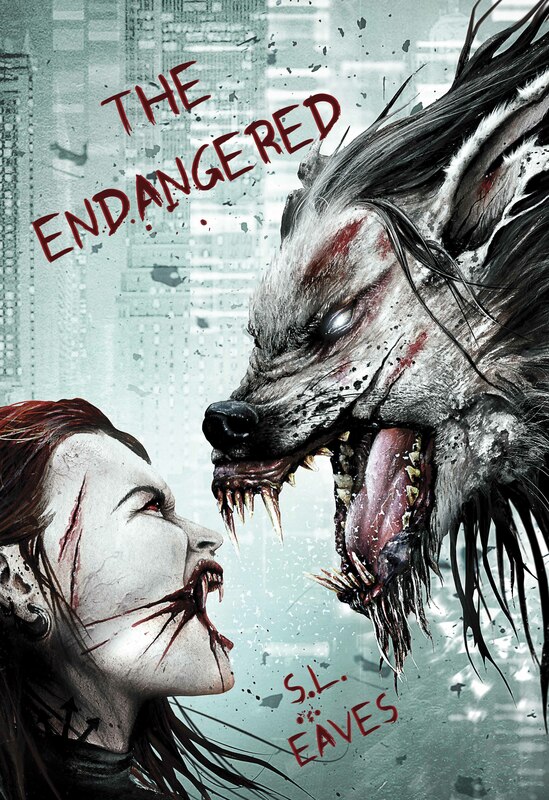 My inner fan boy squealed when Tom Piccirilli contacted me with the pitch for What Makes You Die. I believe Tom has written one of the defining southern Gothic novels of our time: November Mourns. 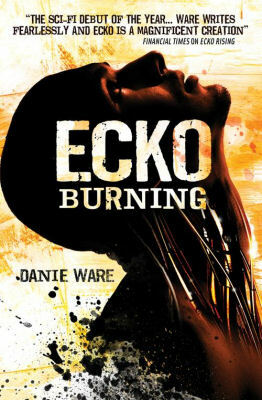 Having the opportunity to work with such a gifted writer has been a highlight of my career. Q. A lot of the stories in For Exposure seem to occur at conventions. How many conventions to do you tend to attend in a year, and how important do you believe they are to the success of a small press publisher? A. I try to do 5 proper conventions a year. They’re so time consuming, expensive, and exhausting that doing more than five is a real stress on a person’s stamina. Having said that, they’re incredibly fun and are important in terms of networking, promotion, and sales. Convention appearances by ‘Apex’ and associated staff is a lot more cost-effective than taking out an ad in a genre publication such as Locus. 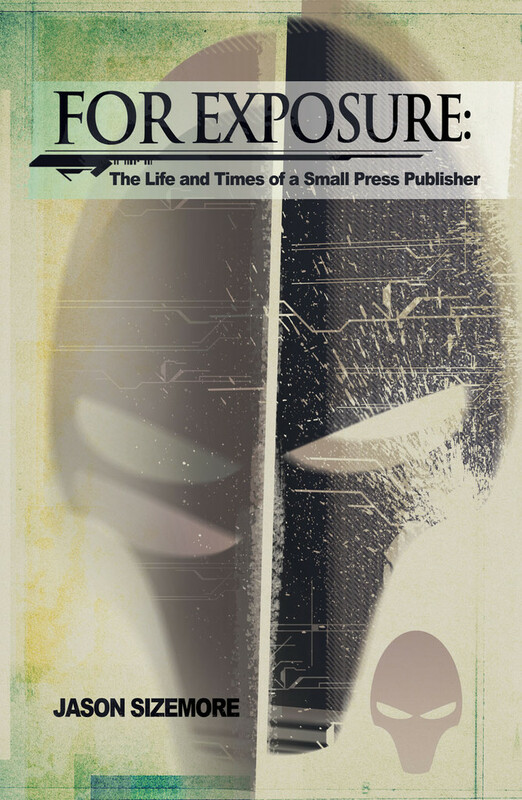 Genre small press makes a sizable percentage of revenue from the “true fans”, and many true fans attend conventions. So I believe attending major conventions is of the utmost importance. Q. There is a particularly disturbing story in For Exposure about ham. Just reading it, I’m not sure I’ll ever be able to eat it again. Do you eat ham or did the experience turn you off of it forever? I’ll not go into further details. You just have to read it in the book. Q. There are several rebuttal essays written by those who have been a part of Apex over the years. How was it asking people to write rebuttals to your essays? Was there anyone in particular that made you little nervous about the response you might get? A. No one turned down an opportunity to write a rebuttal. Let’s just say that these people know me well and knew the safest recourse was to offer their sides of the story! I didn’t feel nervous about any of the rebuttals. But there were a couple that I looked forward to reading the most. In particular, Lesley Conner and Monica Valentinelli. Lesley has worked closely with me for years. To get her perspective was fascinating. Monica’s rebuttal addresses a “controversial” incidental in the Apex mythology: the warm splatter. While I disagree with her take on the situation, I loved that she wrote such a funny, open, and honest(?) response. Q. Your first book Irredeemable is a short story collection. Your second is nonfiction. Are there any novels in Jason Sizemore’s future? A. Oh, I get this question a lot! The hope is “Yes, yes, there will be dozens.” The truth is “I don’t know, we will see.” I’m co-writing a novel with Maurice Broaddus titled Serpent. It’s a dark SF crime piece set in the slums of alternate Indianapolis where two factions fight over a new drug created by a preacher with the venom of the snakes he handles at his church. I just need life to slow down enough for me to finish my part of the book. Born the son of an unemployed coal miner in a tiny Kentucky Appalachian villa named Big Creek (population 400), Jason fought his way out of the hills to the big city of Lexington. He attended Transylvania University (a real school with its own vampire legend) and received a degree in computer science. Since 2005, he has owned and operated Apex Publications. He is the editor of five anthologies, author of Irredeemable, a three-time Hugo Award loser, an occasional writer, who can usually be found wandering the halls of hotel conventions seeking friends and free food. Visit him online. And here’s Gail herself, delving deeper into the magic and the characters of the world of the Ascendant Kingdoms – enjoy! Q: For readers who haven’t met you, tell us a little about your books. A: I write the Chronicles of the Necromancer series for Solaris Books and the Fallen Kings Cycle and Ascendant Kingdoms Saga for Orbit Books. I’ve also been in a variety of US and UK anthologies, and I publish two series of short stories on Kindle, Kobo and Nook—the Jonmarc Vahanian Adventures and the Deadly Curiosities Adventure. 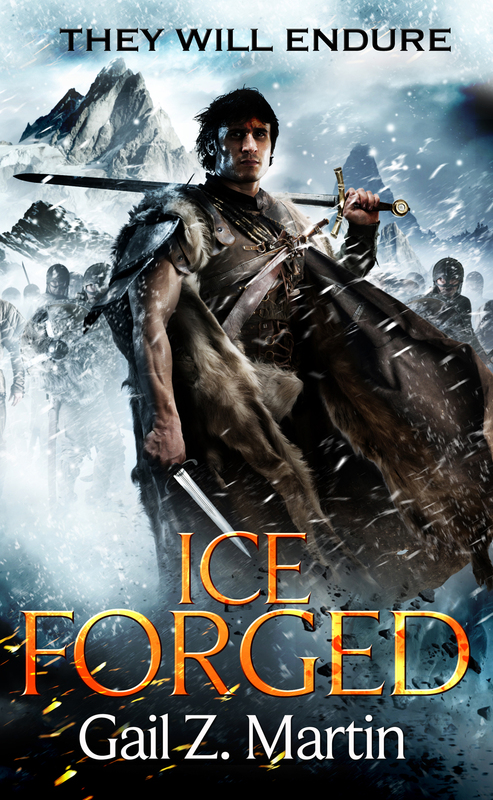 My most recent book is Ice Forged, the first book in the Ascendant Kingdoms Saga, and the next book, Reign of Ash, will come out in April, 2014. Q: Ice Forged started a new series for you, with a different world and all-new characters from what you’ve written before. What made you decide to write a different series instead of continuing with your other characters? A: I still have plans to write more stories in the Chronicles world, but I had reached a good place to take a break and do something different for a while. There’s a natural break in the plot line after The Dread that makes a logical resting point. So while my characters are taking a much-deserved vacation, I had the opportunity to write some new stories that had been banging around in my head. Q: In Ice Forged, the plot hinges on a war going terribly wrong and mages on both sides launching a doomsday strike that not only rains down fire from the sky but also cause magic to stop working. Why is the failure of magic so important? A: In Blaine McFadden’s world, magic is the convenient short-cut. It’s like our power grid. Sure, you can wash clothes without electric appliances, but it takes more work and nowadays, does anyone remember how? It’s the same way in Blaine’s world. The old ways of doing things without magic have been forgotten, and people have come to rely on magic for as a quick fix. Imagine what a shoddy workman could do with a little bit of magic, things like propping up a poorly built wall or shoring up a sagging fence. When the magic fails, so do those fixes, and things literally begin to fall apart. Then there are the bigger magics, like keeping the sea from flooding the shoreline or using magic to heal. When magic doesn’t work anymore, how do you heal the sick or keep back the tide? Donderath has a really big problem on its hands. 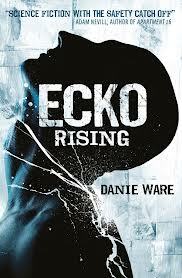 Q: Where did the genesis of the Ice Forged’s main character, Blaine “Mick” McFadden, begin? I really started with the idea of exile, and what would it have been like if England had sent its prisoners north to somewhere like Iceland or Greenland instead of to Australia. (Obviously Russia had Siberia, but that’s different, in part because there was no sea voyage.) Then I started to think about why a character would be exiled, and murder was a good reason. But it had to be a murder the reader would agree with (so many readers have commented that Ian McFadden “had it coming”). Where Tris, in my first series, was accused of a crime he didn’t commit, I wanted Blaine to be unrepentant about a crime he did commit. 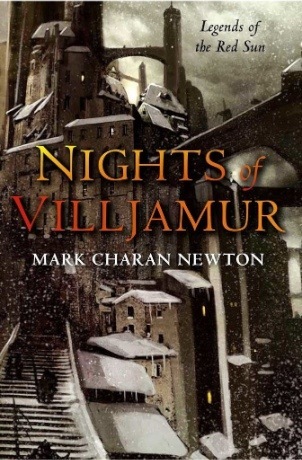 Q: The setting of Velant is a really interesting place, because you’ve combined elements of post-apocalyptic with the classical idea of northern wastes we often see in fantasy, but this setting really affects the characters, doesn’t it? A: Being sent into exile in an arctic prison colony is bad enough, but having the magic fail is like losing the power grid—it takes away an important factor for survival. I had focused on really big magic in my first books, and in Ice Forged, I wanted to look at what it would mean to lose the little magics that people used in their everyday lives. Food spoils, herds die, crops fail, magical repairs to buildings and ships fall apart, and things people used magic to do as a short cut now needed to be done the old fashioned way, which few remember. Velant is the same distance as a sea journey from Donderath that Australia was from England, in good weather. The weather is dramatically different, harsh and inhospitable. It gets the arctic 6-months of day and night. The prison itself is run by a commander who was a “useful monster” during a war, but too feral to bring home, so they exiled him by putting him in command of a prison no one else wanted to run. The guards are likewise exiled because they were unsuitable for normal military life and civilized society. While many of the convicts were exiled for real crimes, many more were sent away for petty infractions, political reasons, or just being poor. It’s not the kind of place anyone wants to live in, but it’s amazing what the human spirit will endure! Prisoners who earn their “ticket of leave” become colonists, and manage to make Edgeland their home. A: Good question! 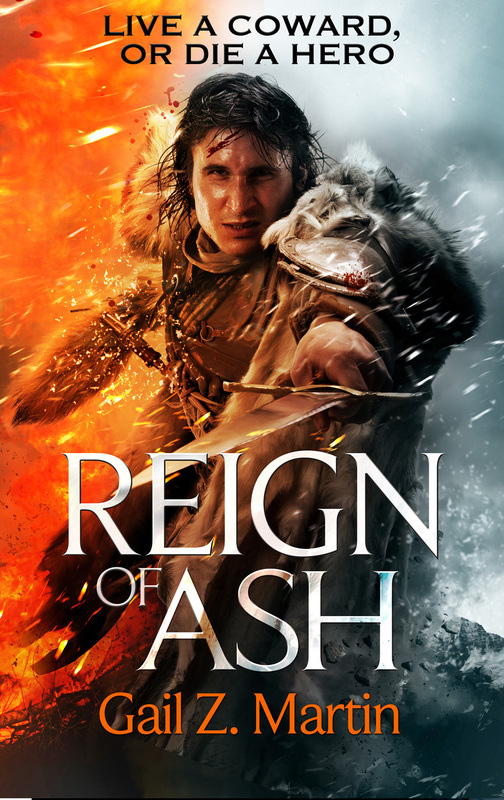 I’ve just signed on with Orbit for another two books in the Ascendant Kingdoms world, so I’m working on the sequel to Reign of Ashes (it’s weird how you’re working two books out from what anyone else has read). I’m also committed to bringing out a new short story every month, so that’s actually turning out to be a lot of fun. And I’ve got some different directions I’d like to explore in addition to epic fantasy, so I might just surprise you and turn up with something completely different one of these days! The Hawthorn Moon Sneak Peek Event includes book giveaways, free excerpts and readings, all-new guest blog posts and author Q&A on 21 awesome partner sites around the globe. For a full list of where to go to get the goodies, visit www.AscendantKingdoms.com. @GailZMartin Book Giveaway on Twitter—Every day from June 21 – June 28 I’ll be choosing someone at random from my Twitter followers to win a free signed book. Invite your friends to follow me—for every new 200 followers I gain between 6/21 – 6/28, I’ll give away an additional book, up to 20 books! 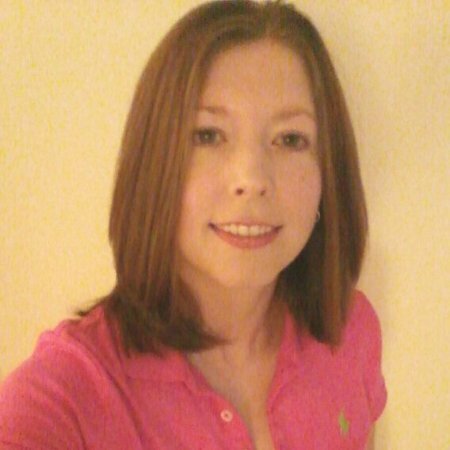 Gail Z. Martin is the author of Ice Forged in her new The Ascendant Kingdoms Saga (Orbit Books), plus The Chronicles of The Necromancer series (The Summoner, The Blood King, Dark Haven & Dark Lady’s Chosen ) and The Fallen Kings Cycle (The Sworn and The Dread). 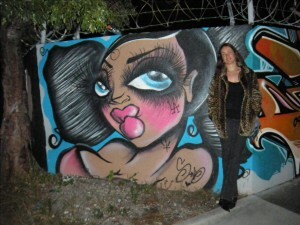 She is also the author of two series on ebook short stories: The Jonmarc Vahanian Adventures and the Deadly Curiosities Series. Her books are available in bookstores worldwide and on Kindle, Kobo and Nook. Find her online at www.AscendantKingdoms.com. Many thanks to Gail, Bradley and Anna for this! Do you have any plans to turn The Malazan Book of the Fallen into a role playing game? Not personally: my publishing schedule is far too busy for that. That said, I am amenable to the idea. You seem to be able to write one novel each year, and still maintain an extreme high quality on your writing. How do you manage that? Thanks for the complement on writing quality. With respect to writing a novel a year, I seem to have stumbled onto a system that works for me. Four hours a day, five or six days a week, for eight to nine months usually results in a finished book. Each day, I begin by editing what I wrote the previous day, before starting a new section. This helps me maintain momentum and continuity. These days, however, I’m looking at eighteen months between novels. Getting old, I guess. 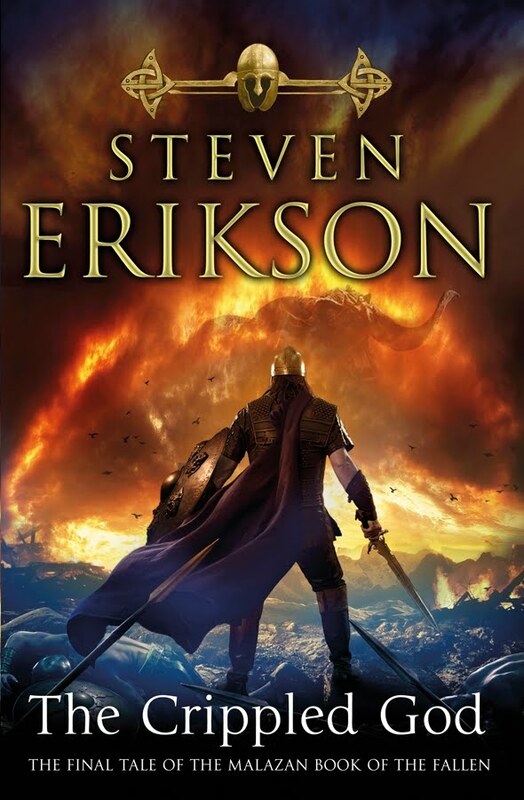 What are you planning to write next, now that The Malazan Book of the Fallen is finished? I am signed to two more trilogies, in addition to five or so novellas. 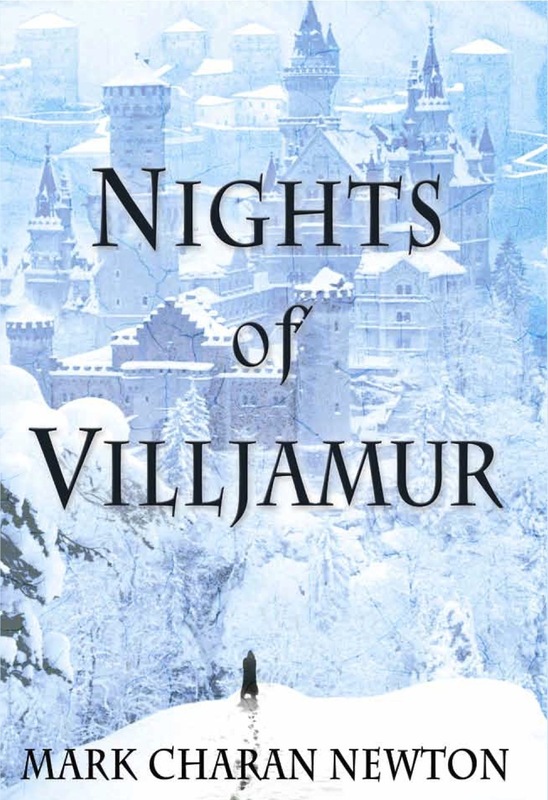 At the moment I am writing the first novel in the Kharkanas trilogy, which returns us to the formative period underlying The Malazan Book of the Fallen: specifically, the story surrounding the Tiste Andii and their neighbours. Will we meet Kalam Mekhar again? That depends on when you last met him, doesn’t it? Alas, I can’t really play favourites. I enjoy my time with all the characters I write, even when they’re going through hell. I know, sounds perverse, if not sadistic. The thing with characters is that they bring pressure to bear on a writer – to get them right, to treat them with dignity, even though they are only fictional creations when on the page. In my head, they have to be alive (unless, of course, they’re undead). “Erikson” is a common Swedish name – do you have Swedish ancestry? ‘Erikson’ is my mother’s maiden name. My actual last name is Lundin, which of course isn’t Swedish at all. (joke) Both my parents were Swedish and I have been back to visit relatives in recent years, in Uppsala and Stockholm. It´s not uncommon for your characters to die all of a sudden. Have you ever been emotionally upset when you had to finish off some of them? Although deaths may appear with shocking suddenness on the page, you can be sure that I have been thinking about those moments for months, even years beforehand. 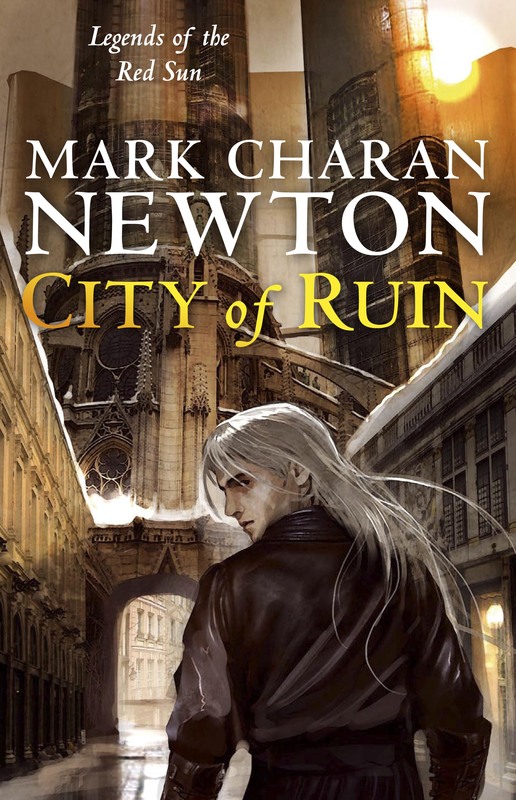 Accordingly, I write characters towards an inevitability that a reader might only see should they go back and re-read the series. For the death scenes themselves, if I do not feel any emotion, neither will my readers, so I do my best to achieve a kind of authenticity when writing those scenes. Which volume in the Malazan Book of the Fallen is your personal favourite? It depends on how I measure them, and the answer changes accordingly. Deadhouse Gates feels like a compact (! 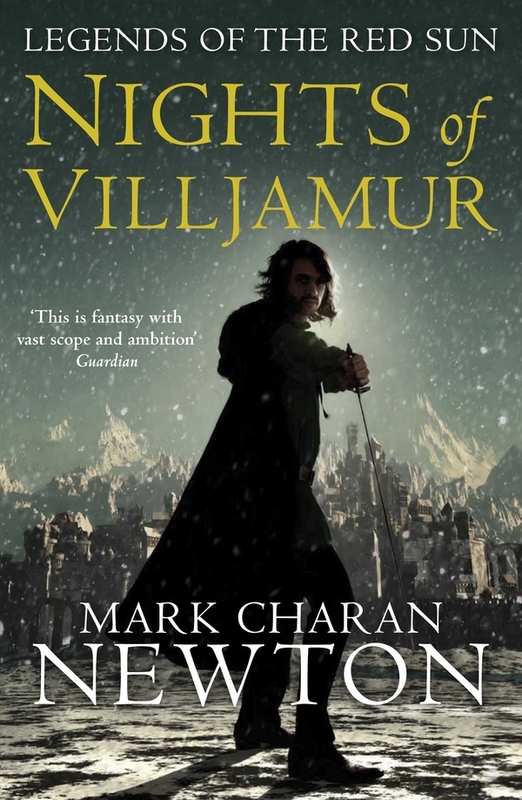 ), complete work, where I did what I set out to do, which was to immerse myself (and the readers) as deeply into the Malazan world as I could. House of Chains satisfies me on other levels, in particular the opening part following a single character over multiple chapters, and the novel’s anti-ending, which I knew would throw many readers. Midnight Tides pretty much wrote itself, and for that reason, I appreciate it for its effortlessness. Toll the Hounds is perhaps my most complex novel, and on that basis I rank it as the novel for which I am proudest. That said, I think the conclusion of the series ain’t so bad, either. How do you create your fictive characters? Do you occasionally glance at real persons in your surroundings, and incorporate traits from them? Not consciously, but a writer always observes and takes mental notes on body language, physical traits, mannerisms, patterns of speech, relationships, and so on. It all feeds into a stew with plenty of flavours. In practical terms, characters generally arrive (for me) as names first; sometimes that name describes something about the character, in a Dickensian fashion; while at other times that name runs counter to the character’s traits. Two examples would be Antsy for a nervous, agitated, paranoid character; and Tiny Chanter, for the biggest and nastiest of the Chanter brothers. Obviously, some characters arrive with names that have no earthly correlation, and there I find that the ones that sound right in my head often do so because they trigger some related (or not-so-related) image or emotion in me. In still other instances, I use names to resonate with historical, earthly personages, though usually when I do that I disguise that resonance so that only I am aware of it. Finally, some names I invent and keep only because I like the look and sound of them. How much of the plot is planned in advance, and how much grow “organically” when writing the novels? I think there needs to be plenty of both in a novel. If it is all planned down to every last detail, chances are that novel will never be written, because it will mean that the creator has already done all the fun stuff – the creative bit – leaving the writing itself a chore. And should that writer actually slog through the ordeal of writing lifeless stuff, well, the finished product will be unreadable. For myself, I held to broad arcs through the series, and knew where the end of each novel would be, but I left plenty of scope for invention on the fly, and a good many threads were spontaneous creations which I then had to work hard at entwining into the whole. A writer needs room in which to be surprised by their own creation, and to then feel free enough to follow unknown and unexpected paths in the narrative. To pre-order your copies here are the links you’ll need: Amazon US (paperback & hardcover), Amazon UK (hardcover), and here for South Africa (Kalahari.net hardcover). There are different release dates for the US, UK and SA, so make sure of those details at the links. Piotr, the man behind Fantasy Fan, was lucky enough to have been able to interview Craig over the phone, and the interview is the result. I really enjoyed it – gave me a bit more background to Craig and answered the all important question: Did he read the books?